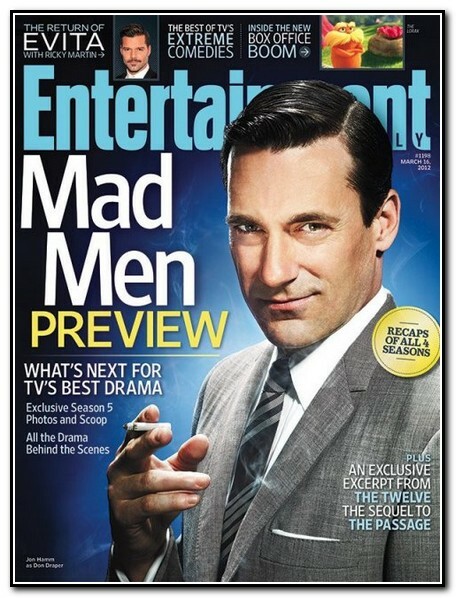 The Return of Mad Men, Finally!! 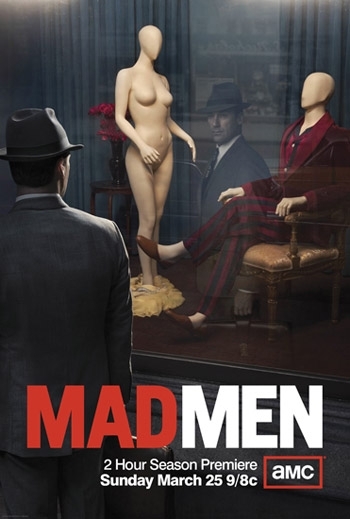 Today marks the end of my 17 month withdrawal for probably one of the best shows on television, Mad Men. The show has incredible writing, fabulous fashion as well as props from the 1960’s, which really make you smile. It is a bit before my time, however, it is so great to go back to that era with this show. The story line really has such great twists and turns, you cannot help but beg for more. 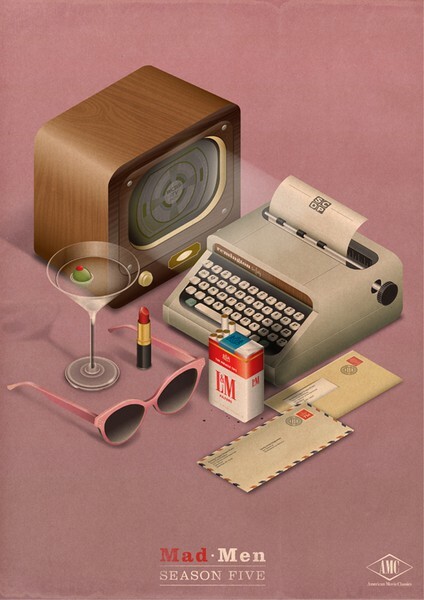 If you are not watching, it is a story of advertising agencies in the 1960's. It really grabs you from the beginning and you become, well addicted. There were dolls made of the characters, so you know it is a big hit !! 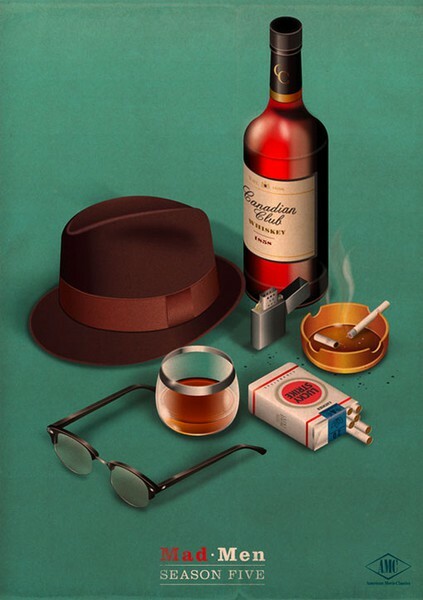 When drinking was allowed in the office, as well as smoking at your desk. I cannot even imagine that being allowed in the year 2012. Roger Sterling is quite a ladies man. 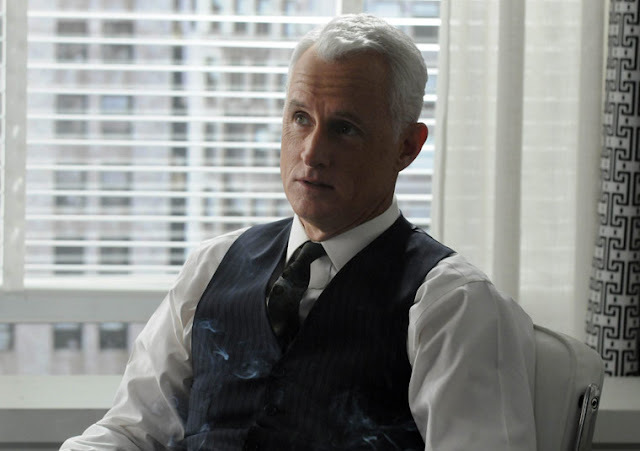 John Slattery who plays the role, has always been a favorite of mine. 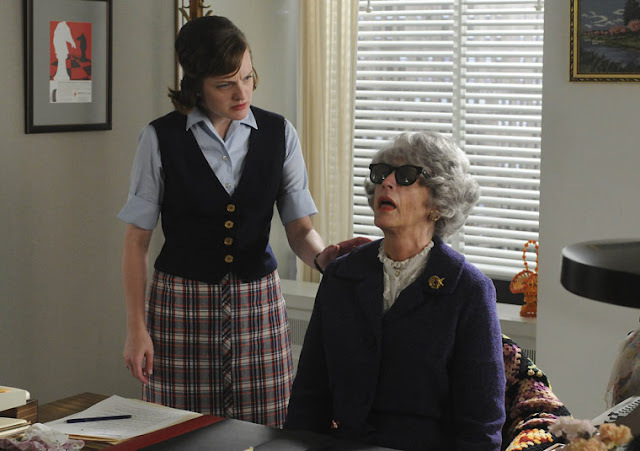 Peggy Olsen and Mrs. Blankenship from Season 4. Truly a memorable one for those who watch the show!! Peggy shows how a lady in the 1960's rides up the ladder to a career in advertising. Betty Francis, aka January Jones, looks quite the Grace Kelly in this series. I am so loving the bag, and the dress. The costume designer, Janine Bryant, really outdoes herself season after season. 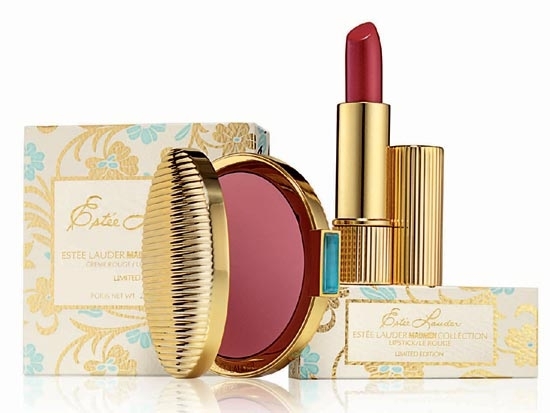 Estee Lauder has even launched the "Mad Men" collection rouge and lipstick. I did purchase both, but was sad to see the lipstick is a mini size. They are really great colors. The packaging is oh so chic. 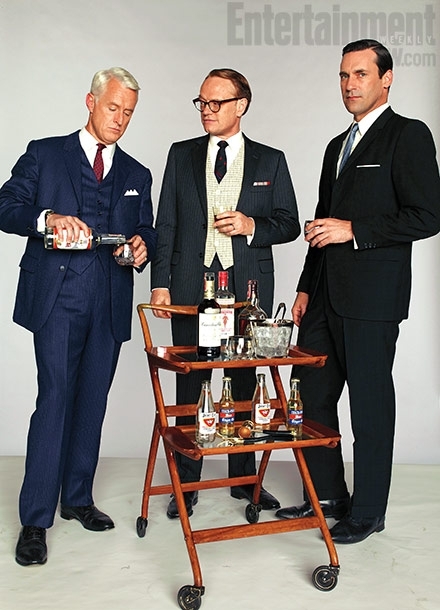 Banana Republic has launched Mad Men inspired collections for a few years now. 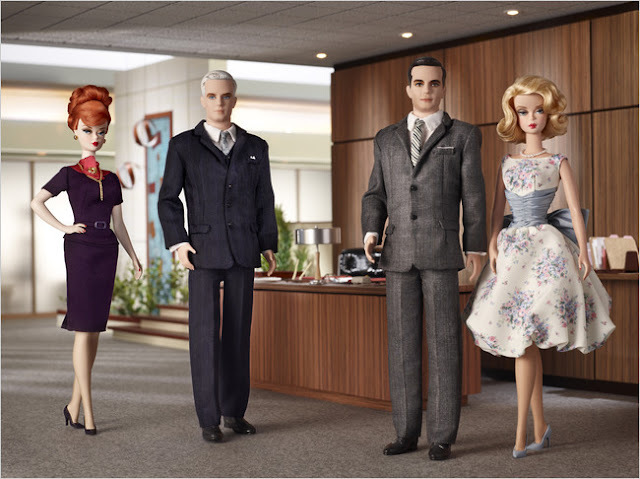 The men and women can take a cue from the 1960's and be oh so fashionable in 2012. My dad would have been thrilled the skinny ties are back in style. The actors on this show have such great talent and we are all lucky to be entertained by them again in Season 5 starting tonight!! Okay, so my question is, Do you watch? How excited are you the show is finally back? Who is your favorite character? If you do not, You Need To. AMC. Tonight at 9pm you will find 2 hours of intense drama. And maybe some comedy thrown in as well. By the end of the night, you will want more. You will say, "When is this on again"?? You can also rent the prior seasons via Netflix on DVD. I must now go attend to my fondue and crackers for the premiere. I think a gimlet may also be in store for me too!! Enjoy the premiere!! 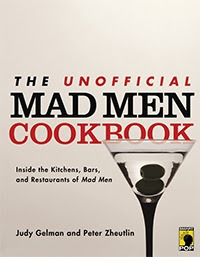 There is also a new Mad Men cookbook for you to enjoy and stay tuned to the blog for a future giveaway of this fun title !! A really nice post about something I also love. I have no doubt they can keep up the former series and always admire the way the whole thing looks real from the sixties. Have a nice evening. I can't wait either although here in Europe, it's not being aired till Tuesday night on Sky Atlantic. It's amazing how many things this fabulous series have inspired and influenced, long may it continue. My favourite character? I like all of them flaws and all. I agree with you Dash although Don makes me smile. The show with all the characters is wonderful and if any were gone, I do miss Sal, it would lose something I think. So excited for tonight! !